Group vs Private Lessons: What Works Best for You? Lately I’ve started thinking a bit about lesson formats, and what works for me as the student. Do I prefer group vs private lessons? It isn’t something I have consciously considered that often, but in an effort to sort myself out a bit, I have started thinking about this topic more often. 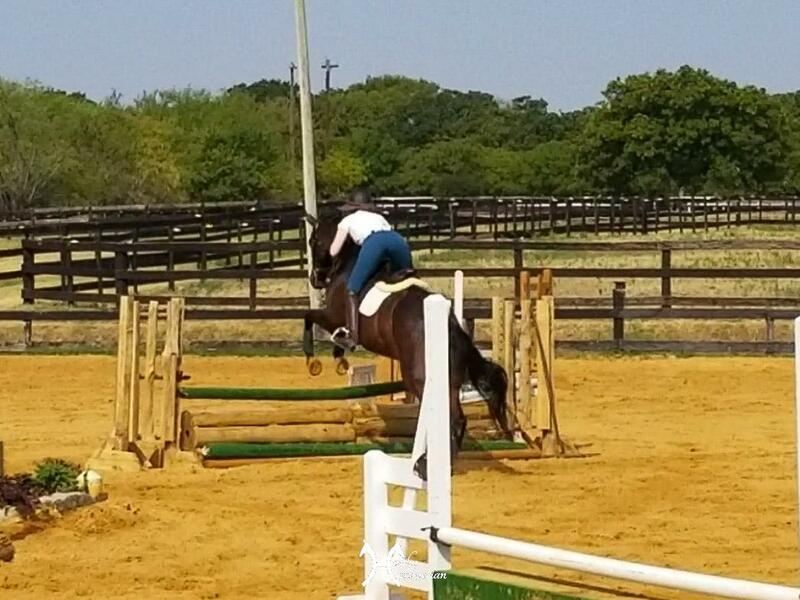 Lots happened in my lesson on Sunday besides the falling off bit– that actually happened near the end of the ride. my favorite part of this picture is Rosie’s face in the background. She’s about are “mareish” as they come, but so talented that she makes up for it LOL! Rio warmed up nicely and things were going fairly smoothly for most of the lesson. I was still feeling a bit “down” though during my ride (even before the fall, which if anything, made me lighten up a bit!). Not sure why exactly, I’m just feeling a bit hard on myself lately I think. 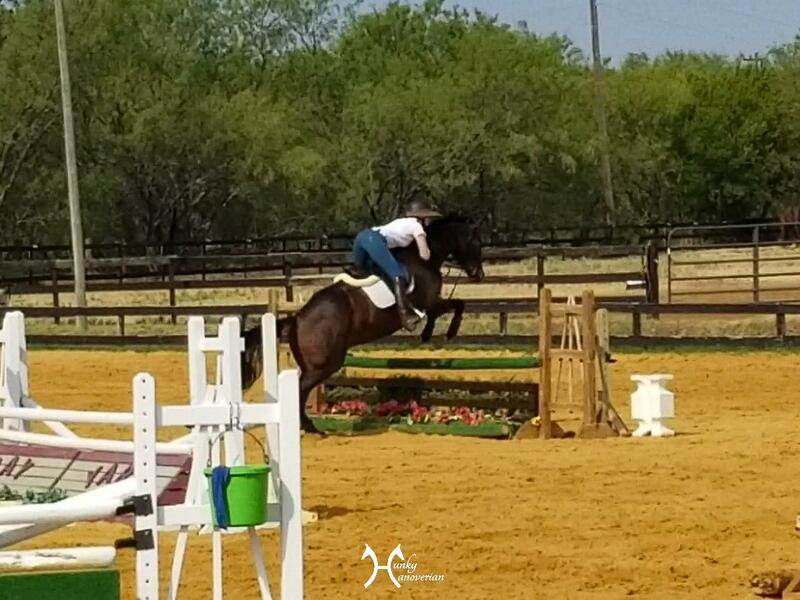 Instead of focusing on the positive of each round, I find myself getting caught up in every small mistake.Lessons at my barn are typically in a group format, so we take turns doing the course. In general, I really like group lessons. I like that they give Rio and I time to catch our breath between rounds. I also really enjoy observing other riders and trying to learn from everyone’s mistakes, not just my own. It’s also really nice to have that social aspect, and sense of camaraderie that comes with group riding. On the other hand, I sometimes feel frustrated with the group lesson format. When it’s my turn to jump and I make a mistake, even if it’s small, I feel like I’ve “blown” my round. Because I only get a chance at the course every 4th rider (If there are 4 riders in the group for example), I want it to go smoothly every time. When I make a mistake during my turn, I find myself dwelling on it until it’s my turn again, and I feel even more pressure not to “mess up” again. In this way, I am not sure that I always enjoy a group format. In private lessons I feel that I am not as hard on myself, and I view mistakes as learning opportunities, because I get to do it again and again as many times as needed, in order to get it right. There are plenty of opportunities for re-dos in a private lesson versus a group. Where depending on the size, you may only get 5 or 6 chances to do the exercise. In private lessons, even if I hit a rough spot, I usually feel that a lot of progress was made. We may have run into an issue, but we worked on it as much a necessary. Now I am not saying that you can work through every issue that arises in a private lesson, just that I usually have a very clear sense of what I did wrong, and what I need to do to work towards fixing it in the future. I feel that I have more time to work through issues, as I have the trainer’s undivided attention the entire lesson. She doesn’t have to shift focus to the next rider once I’m through the jumps, and we can stay focusing on my issues the entire time. I don’t have to feel greedy for her attention. I am not sure that I always leave group lessons with that same sense of clarity. Does that make sense? It sounds a bit whiny while writing this, a bit “me, me, ME!”. I grew up with the same dressage trainer all through my junior years (12ish years), and she was the type to give constant instruction, every step of the way, and our lessons were always private. In this way, I think I am used to the undivided attention and constant focus of being in a private lesson. It’s not like I haven’t done tons of group lessons, but now that that is essentially all I do. I feel like I don’t quite have the enthusiasm for lessons lately as I normallydo. I am beginning to think that always doing group lessons may be part of the problem. Lesson times are a bit tight now with the heat (not as many slots available!) but I think I am going to try to mix up the lesson format occasionally, and try to sprinkle some private lessons in to see how that works for me. After all, this should be FUN, at least most of the time! What do you guys prefer, private or group? Do you do a mix? Why do you like one over the other? I’d love to hear your responses, to maybe help give some more clarity to my own feelings! I’ve done very few group lessons and think I would benefit from them a lot. I like to stop to think about what went right and what went wrong and I also learn a lot from watching others and hearing the trainer’s feedback about their round. I like a mix of both. I rarely get to do a group lesson because my trainer really only teaches me. So that limits things! Haha! But occasionally I’ll join a friend at another barn for a lesson, and I do like getting to take a break and watch others learn too. I think when you’re struggling with something, private lessons are kind of a must to get through it. I’m not sure how often you lesson per week, but maybe you could do one of each? Or do mostly group (as that seems like what fits in best for your trainer) and do 1 or 2 privates a month. Something like that? I think I am the opposite. I grew up always doing group lessons and our group lessons were always a mix of intermediate and advanced riders, I learn really well by watching others especially the more advanced riders. The group lesson format gave me a lot of breathing room and space to think for myself. As I got older I did take some private lessons too, especially when I was a WS and I like them a lot as well and the mix of the both was really beneficial. Now I only take private lessons with the Trainer constantly in my ear every step of the way and I just can’t think. I commented on your post on Insta before reading your blog post. I love my group lesson ladies, and enjoy being able to watch some of the more advanced riders. My trainer structures group lessons a little differently, because each rider gets to go through the exercise a couple of times before moving on to the next person. That way you get the benefit of going right back and correcting any mistakes you made immediately, but also get a breather after a couple trips to think over and watch. This also lessens the amount of times that my trainer has to adjust jumps, since not everyone in the group is at the same height. We don’t always do a full course, but instead focus on individual exercises, so this also helps save time. Maybe you could bring this up with your trainer and see if this is an option for your group lessons? I also like sprinkling in the occasionally private though when possible, because sometimes you just need that one-on-one focus. I mainly do private lessons, but it’s fun to do a group (or in my case usually semi-private with one or 2 others) every now and then. Especially for jumping! But it has to be the right group. There are a few people I’m super comfortable with and that inspire me to be braver, but people I don’t know well I sometimes feel a bit self-conscious with. This summer I started hauling a friend’s daughter and her pony to lessons with me. (I do not board with trainer). While at first it seemed fun, I found myself unfocused and worrying about what they were doing. I eventually stopped offering to take the pony and teenager with me. 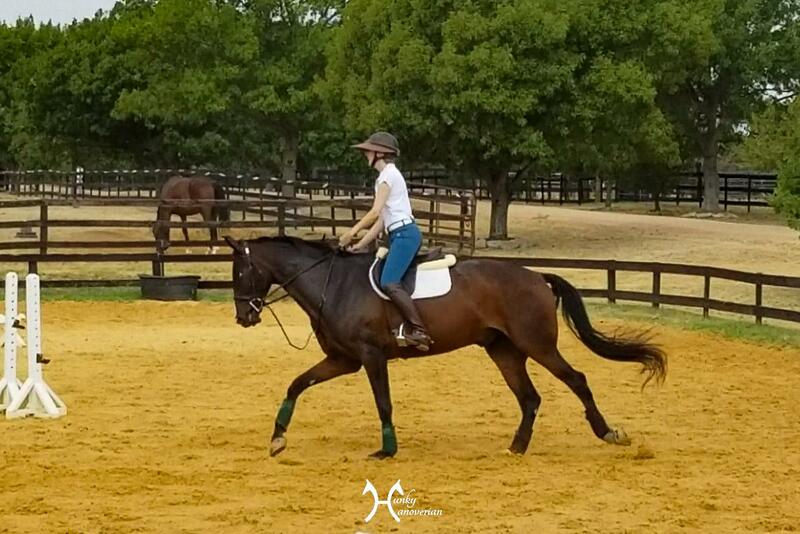 Though I felt guilty because I know as a teenager I would’ve wanted the opportunity to ride at a BNT’s farm, it has allowed me, as an adult amateur, to focus more on my riding and my horse – which is the ultimate goal of the lesson. I work hard so I can be successful in showing and riding. 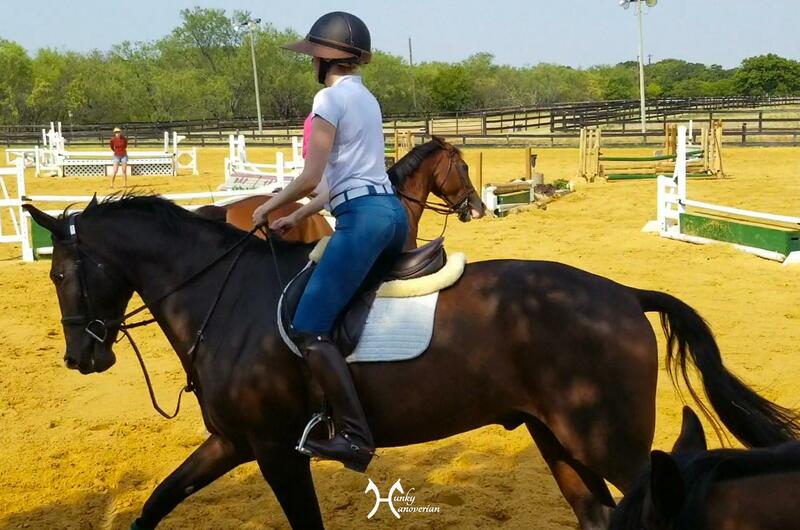 It may seem selfish to want or feel the need for a private lesson but sometimes you just have to do what’s best for yourself and your horse! I mostly do group lessons, although private are always available if I ask. I’ve never felt like I didn’t get enough out of it, and I learn a lot by watching others. I mostly ride in privates because I’m the only one of my trainer’s students who is consistently jumping and competing. It works out well (particularly because I lease her horse! ), but sometimes I miss having another person for a break in between rounds or even to watch someone else do an exercise. There is one other person who lessons with me sometimes and I really do think 2 people is a sweet spot for a lesson. I only take privates because I can’t imagine lessoning with me lol. If I get confused by something I have to straight up stop and talk it out which has sometimes devolved into BM having to come over and physically position my body parts to make me understand. I really need the one on one learning style to get the most out of a lesson.